A key predictive indicator (KPI) is defined by Investopedia as a set of quantifiable data that a company or a business can utilize in order to measure its performance over time. Examples of KPIs include the return of investment, customer lifetime value, and customer acquisition cost. There are many more data that can be used to gauge the performance of your business so that you can see if you are progressing towards your business goals. 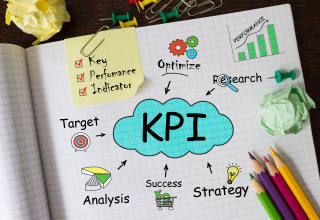 KPIs are more than just numbers that go into your record book. These are actually pertinent information that can keep your business afloat and thrive. The key reason why micro-economies and businesses crash is due to the falling demand, or absence thereof. By utilizing KPIs, one can get ahead of the game and see if the demand is failing so that preventative measures can be applied. There are two main types of indicators. The first one is the lagging indicator, which, as the name suggests, means that the information is already part of history. These include periodic fiscal reports. Upon receiving documents of financial records of your company, you can’t really make anything out of it because it just indicates what has already happened in the past. The second type of indicator is the leading indicator, which is what should be paid attention to. These are predictive measurements that, when properly analyzed, can map out trends within the company. A perfect example is leads generated. By measuring the number of leads generated from your digital marketing strategies, you can predict the sales conversions that you can arise. Similarly, you can also measure employee absenteeism, which can predict defects. The important takeaway is to be able to determine which KPIs you need to consider to predict certain outcomes. KPIs may vary from one business to another, depending on an array of factors. The general rule is to take the leading indicators and make decisions based on those before the lagging indicators can truly quantify what has happened. One of the most important KPIs for every business is a cash flow dashboard that can illustrate the cause and effect relationship between decreasing sales and cash position. As a result, you may be able to accurately predict your cash needs in the weeks and months to come. Accurate fiscal planning is ideal to reallocate budget in other departments to make way for company expansion and improvement. The general rule is to observe all the data within your business. Listen to every transaction and don’t leave out any data that can make or break your business. Planning is everything.